Last month, the mobile operator EE announced that it had become the first European operator to enjoy 10 million 4G customers. 4G, which allows for faster download speeds on wireless devices, has the potential to transform the digital health experience for many consumers. Understanding this dynamic is strategically important for digital health providers, given how quickly this market is growing. Since the first commercial 4G networks launched in December 2009, the growth of 4G has been on a continual upward curve. Around the world there are now over 350 operators who offer 4G services, up by 88 from the same time last year. Partly as a result of this increased availability, data from GMSA Intelligence—a trade body for the mobile sector—indicates that the number of 4G connections doubled across the world between 2013 and 2014. Other factors contributing to this growth include cheaper handsets, data tariffs and the desire of consumers to be on the best possible networks. 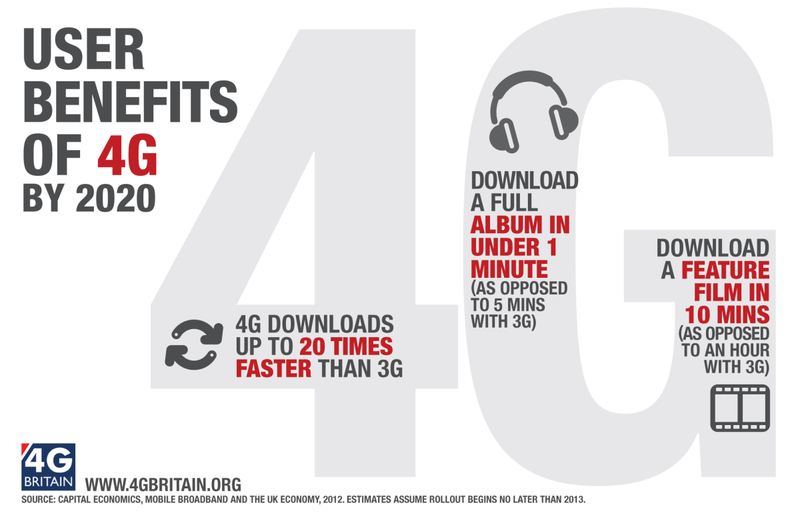 Globally, there are now 490 million 4G connections, akin to 7% of the world’s mobile population, and up from just 3% a year earlier. Much of this current stems from China, where China Mobile accounts for a staggering 30% of all new global 4G connections. Other popular markets include South Korea, Japan and the USA, with others coming on-stream all the time. By the end of 2015, global 4G connections are forecast to reach 875 million, accounting for 12 percent of total connections. By 2020, 4G is expected to account for more than 30 percent of global connections. Not surprisingly, faster mobile connections are changing consumer behaviours. In particular, this new level of connectivity makes it easier for people to download content, view videos and stream media, whilst on the move. Watching content on Netflix, YouTube or listening to music on Pandora and Spotify is no longer something you can only do at your desk. 4G helps to make this experience a reality, wherever you are. Data suggests that 4G users are also more likely to use apps on their phones, including ones that are quite data hungry. Typically they’re active in social networks and evidence suggests a growing cohort are interested in mHealth too. Fundamentally, improvements in download and browsing speeds often mean that 4G subscribers are engaging in—and are open to—new activities and behaviors via their mobile devices. It’s this prospect that digital health providers, among others, are understandably excited about. Data published by EE in the UK gives some insight into this digital health potential. Their Mobile Living Index, which blends analysis of their 4G network with a telephone survey of 1,000 EE4G users, shows that almost a quarter of their 4G customers already use health apps. These include calorie and step trackers, GPS tools for running and heart monitors. Of these products, apps that capture exercise routines were the most popular. Usage of such services is also popular among 18-24 year olds (24%). Although it drops substantially with older consumers—a group that could benefit considerably from such applications. EE found, for example, that only 2% of health app users track their blood pressure. Nonetheless, across their sample, nearly two-thirds (63%) of customers felt that their app usage had increased as a result of the more robust connectivity typically provided by 4G. This growth offers a strong foundation for digital health providers to build upon. Perhaps the most interesting find from EE’s study were the digital health preferences and aspirations. We asked whether customers would like to extend the use of these apps, perhaps even using them to change how they interact with their GP. The reaction was an overwhelming ‘yes’, highlighting again how 4G is opening up new possibilities and changing people’s relationships with their mobile networks. Nearly 50% would happily conduct video consultations with GPs rather than visiting the surgery in person. Two in three customers say they would like the opportunity to manage their prescriptions via their mobile devices. Many groups also suggested that they would be more willing to use health apps if they received a Government stamp of approval. Although this practice can already be found in some countries, it suggests that there may be benefits in more nations embracing this type of app kitemarking, as well as promoting and raising awareness of these opportunities among citizens. Combining these elements of promotion, approvals and time-saving services that patients actually want could help to result in a step-change in mHealth usage—an outcome from which everyone potentially benefits. To find out more, you can read the full EE Mobile Living Index report on their website.